Letter Box Cottage es un retiro con techo de paja catalogado de Grado II para todas las estaciones. Acurrucarse frente al fuego en la sala de estar y en verano dejar la puerta de entrada abierta y mirar hacia el jardín de la casa o pasear por el patio privado con su casa de verano contemporánea y zona de estar privada para relajarse durante una o dos horas . Desde Letter Box Cottage es fácil acceder tanto a Cotswolds (Broadway, Burford, Bibury, The Slaughters, Stow-on-the-Wold y Cheltenham) como a Shakespeare (Stratford-upon-Avon, Warwick y Kenilworth). El Hidcote Manor Garden del National Trust está a pocos pasos de los campos. La casa tiene una sala de estar con vigas de madera con chimenea, comedor con vigas y cocina totalmente equipada. Dormitorio 1 con una cama doble y baño con ducha, lavabo e inodoro. Dormitorio 2 con dos camas individuales y un baño familiar con bañera, lavabo e inodoro. Better than described, absolute magic. Unbelievably peaceful and almost supernatural. It would be tricky to find without a gps but I had no problem. So warm, so comfortable, such a wonderful place, thank you Julia. My cousin is very tall and had to duck because the ceilings are low, but shortie me at 5,5had no problems. The thatched cottage is priceless. Five stars, I would return any time. Perfect cottage retreat, beautifully restored and a perfect getaway with all your home comforts. My best friend and I wanted to spend some time together as she is very ill, well what can I say the cottage was stunning. It was warm cosy spotlessly clean and had everything we needed. The open fire was lovely and relaxing and we lit it every night. The bedrooms were spacious bed linen was spotless and beds were comfortable. The cottage had 2 en-suites which was a bonus, there was plenty of hot water and towels were provided. We thought that leaving tea coffee a biscuits was a lovely touch. I can’t say anymore than it was perfect for us. I must say the cottage is very remote and in a tiny village, but that’s what we found fab about it, we did a food shop before we got there as it is about a ten min drive to any shops. Would I recommend here well absolutely so thank you Julie for helping us to make lots of memories. Thank you for your wonderful review and delighted that Letter Box Cottage was exactly what you were searching for. All good wishes to you both. ..... and you had the most gorgeous weather as well. I am so pleased you enjoyed your stay. The cottage was excellent. It had everything we needed for our stay and the arrangements for picking up the keys and leaving on the last day were straightforward. The beds are all comfortable and everything was clean and well kept. Thank you. I am really pleased you and your family enjoyed Letter Box Cottage. Thank you. 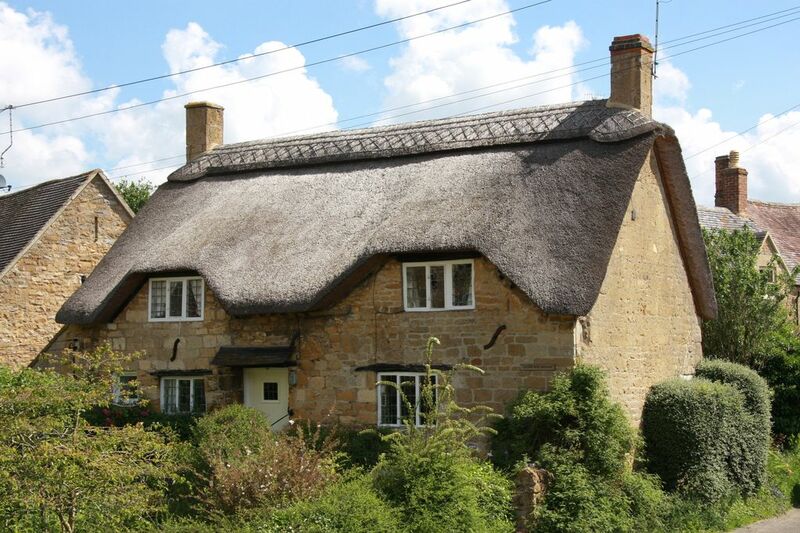 Great cottage in the perfect location for exploring the Cotswolds. Very close to Hidcpte gardens and great walks. Julia was very accommodating and let us drop our bags off early so we could go out for the day. Had all the amenities we could need, in particular a lovely fire which we kept burning throughout the evenings. Thank you so much for submitting a review and so pleased you enjoyed the walks from Letter Box Cottage - always good to sit around a fire afterwards and toast your toes! So pleased you had a lovely Christmas and all the best for 2019. Hidcote Boyce es una aldea a 3 millas de Chipping Campden conocida como la "High Street más bonita de los Cotswolds". Bourton-on-the-Water, Burford, Oxford, Stratford-upon-Avon están a poca distancia en coche. Warwick Castle, Burford Wildlife Park y Adam Henson's Cotswold Farm Park son excelentes días para los niños. Se recomienda el castillo de Sudeley en Winchcombe y la cercana Hales Abbey. El Palacio de Blenheim en Woodstock y Woodstock es un día interesante. Esta zona es famosa por el movimiento Arts and Crafts, así como por sus encantadores jardines. Cada año en junio Skuttlebrook Wake se celebra en Chipping Campden y también hay varios mercados de agricultores y eventos durante todo el año.